A. Arthur did. I was referred to him by a couple of actor friends and, when I met him and spoke with him, I realized that developing my voice would be helpful not just for my career but also would make a meaningful impact on my life and have a ripple effect on the lives of the people I meet. I have always been very specific and focused. When I competed, I wanted to learn everything that would get me to where I wanted to be. For example, I spent endless time figuring out exactly what kind of foods have what kind of effect on the human body. Then towards the end of my competing career, when I became someone so often in the public eye and started simultaneously building my businesses and I met Arthur, then I realized that as much as I had needed to learn about the effects of food on my body, Arthur was able to teach me the effect of my voice on my ability to communicate. For example, if you make a pause here, if you allow a breath there, if you speak a certain way, it all matters. Arthur taught me to “warm up” my voice up, which every champion athlete does before a workout (that’s why I never got injured working out) and it was all those things that made me realize that how I use my voice concerns both my message and my focus. A. There was a moment where I really became aware, when Arthur basically told me, “Franco, I can’t hear you. I don’t hear you.” And, the message was not really that he didn’t hear me, it was that I wasn’t speaking in an effective way and that’s really one of the most important, beneficial things that Vocal Awareness can teach everyone. My approach is that when you listen, you should listen in a way that the other party enjoys and wants to speak to you and share and vice-versa that you speak, in a way that the other party can hear you. Arthur really showed me how we forget, whether it’s in everyday life or in interviews we forget to be conscious and aware. When he said, “I don’t hear you,” I realized I wasn’t communicating effectively with the full potential of my Voice. In fact, I have a good comparison. Many people go to the gym and they use weights, say they use 20 lbs., but they don’t actually put those 20 lbs. on the target muscle. They lose a lot of it by swinging their arms or bending their knees as well as dissipate the effort over several other unintended muscles. Clearly this is not effective. You really need to put those 20 lbs. on the muscle you want to tone or shape. Every little gram of those pounds, you put them on the solid muscle, then the body starts reacting. Another example is with nutrition, if you give the wrong foods at the wrong times to your body, go on a diet, whether you want to gain weight, lose weight, maintain weight and you don’t do it right, then the body gives a different reaction than the one you really want. I have spent decades studying the effects of food on the body and have recently written a book to share this information. (You can find Franco’s new book here: www.carbcycle.com.) Very often people are not aware of these little things that make all the difference and they don’t consider sustainability. Embodying the aspects of communication that Vocal Awareness teaches is not just important – but the only way to both enjoy and succeed in life. Like when you are on a diet, if you eat the right foods at the right time/give the right things to your body then the body loves to react to it and it’s the same way with Voice and communication which involves both listening and speaking. A. There are many many benefits, but one in particular is that it allows your purpose and your persona to really come out and reach your audience. Arthur teaches that when you let go of trying something or projecting something, that you basically allow it, and once you allow it, like you allow the breath instead of taking a breath, you allow your Self to really just come out by not rushing it, with no frenzy, but without any apathy or projection. It becomes about allowing, allowing yourself to be there and allowing other people to be there too. Nowadays, we are all rushing through life too much, rushing around trying to be everywhere and do everything, basically not enjoying ourselves during this constant rush through our lives, which results in a constant feeling of frenzy. Or the reverse, we fall into a lethargic-like apathy where we are almost doing nothing. 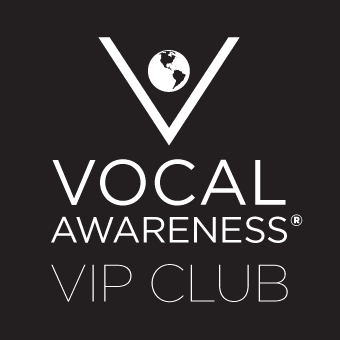 The principles that Vocal Awareness teaches us, include to believe we can really live life to the fullest without apathy, without frenzy and without pretense. This is one of my favorite quotes and it is actually what Arthur teaches. “Perfection of character is this: to live each day as if it were your last, without frenzy, without apathy, without pretense.” – Marcus Aurelius You just allow it. So really that there is one enormous benefit, that’s it. “Don’t rush it, don’t be lazy, don’t be anxious, and don’t project anything, just be. Make sure you are who you are and let yourself and your purpose come alive and shine.